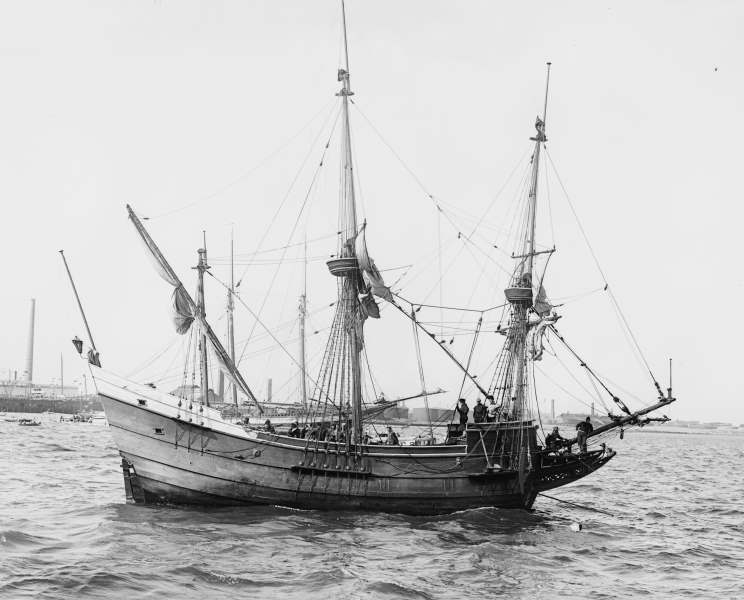 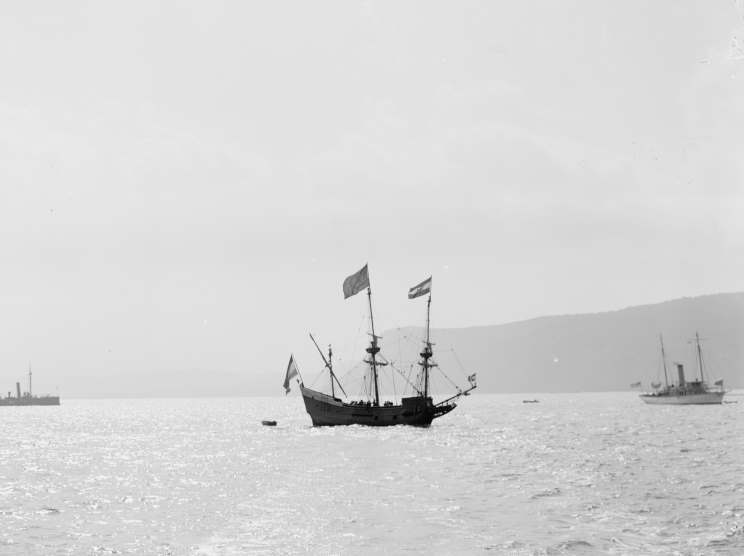 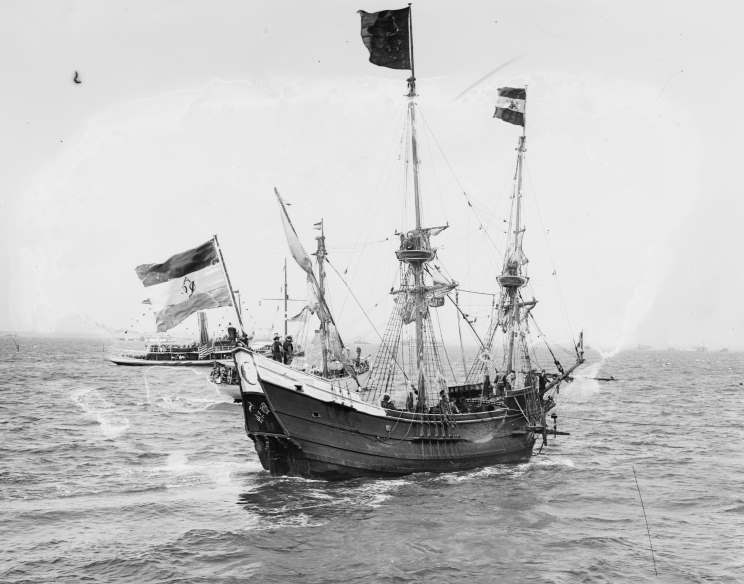 A replica of Henry Hudson's ship Half Moon seen in New York during the Hudson-Fulton Celebration in 1909. 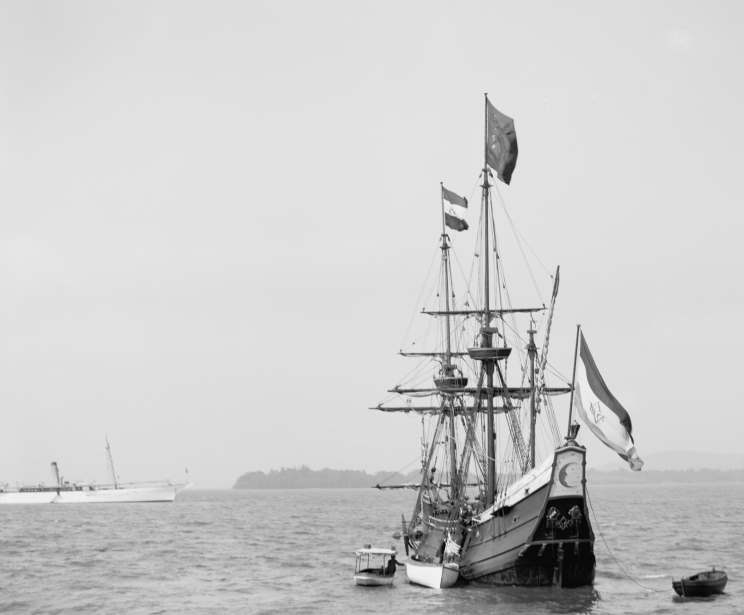 This replica was specially built just for the 300th anniversary of the discovery of the Hudson River. 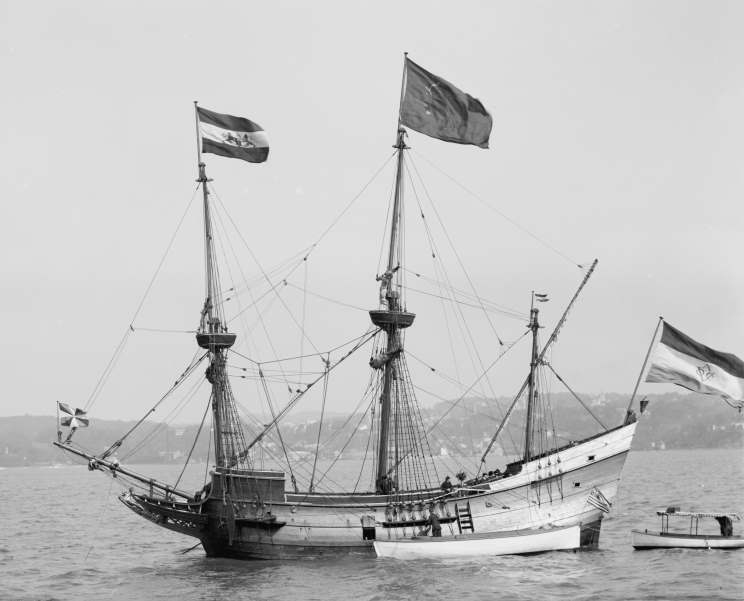 Half Moon replica seen in New York during the Hudson-Fulton Celebration in 1909.